Editor's Note: Welcome to this year's Portrait, an annual magazine created by the staff of The Times, serving Beaverton, Sherwood, Tigard and Tualatin. Below is one of the stories featured in this year's edition, which is availble on newstands or by clicking here. Even growing up the daughter of a well-known Tualatin firefighter, Yvonne Addington had never heard anyone speak about a devastating event that occurred south of Tualatin on an October afternoon in 1952. That's when a B29 Superfortress collided with a F94 Starfire near Wilsonville resulting in the deaths of eleven airmen with wreckage scattered over several fields. What surprised Addington is that even though her father, Ted Saarinen, was a volunteer captain for what was then known as the Tualatin Fire Department, and later, Tualatin Rural Fire Protection District, she can't remember hearing about the catastrophic collision. The fire district at the time responded to incidents in Tigard, Tualatin, Wilsonville, Sherwood and the Wanker's Corner area, and was called out during the plane crash as well. "I learned about the details of this plane crash in about 2010 when the special committee of retired firemen and others gathered at Tualatin Heritage Center to work on recreating the history of the Tualatin Fire Department," said Addington, a former Tualatin Historical Society president. The story of the incident was one of many published by the Tualatin Historical Society's 2012 book "Tualatin Fire Protection History 1937-1989." What happened on Wednesday, Oct. 8, 1952, was the B29 was on a training exercise that included simulating fighting off an attack by a jet fighter, in this case a F94 Starfire out of Washington's McCord Air Force Base. "During his head-on pass the F94 pilot misjudged his attack and his right wing tank hit the left wing of the B29," according to the book. "This caused the B29 to go out of control into the clouds below. During the attempted recovery the B29 was overstressed and broke up." While the B29 crashed, the Starfire and its crew made a safe landing at Aurora Airport. The crash scene was spread across three quarters of a mile, according to the Oct. 9, 1952, issue of The Oregonian newspaper. A reporter interviewed a PGE lineman who was standing on a pole and saw the plane come apart and was actually struck by a body part fragment. 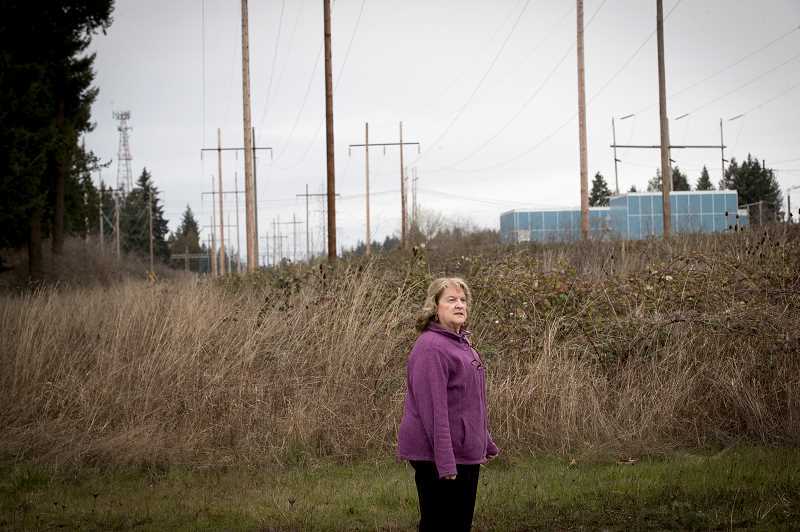 The wreckage took down sections of a Bonneville Power Administration power line, which disrupted service to Wilsonville residents, the newspaper reported. According to Addington's book, Jerry Hess and David Myers were among a group of students playing football at the old Tualatin Grade School —where Marquis Tualatin Assisted Living is now on Boones Ferry Road — along with teacher and Coach Donald Sempert. "And they heard the crash," recalled Addington, who served as Tualatin's city manager from 1967 to 1982. Both Hess and Myers, who saw the plane crash to the ground, would go on to serve as firefighters with the Tualatin Rural Fire Protection District. Hess, who was 12 years old at the time of the incident, recalled seeing a "big puff of smoke and a large aircraft falling to earth." He was one of the boys who accompanied his coach to the scene of the wreckage, which was off of Boones Ferry Road — I-5 was in the process of being constructed — and the northwest corner of the Boeckman Road overpass in the general area where Wilsonville Toyota is now, Hess recalled in the book. Wanting to get more information on the plane crash, Addington went as far as to write to the U.S. Air Force in Washington, D.C., to find the statement Coach Sempert gave to military investigators. What she got back was the entire transcript. In his statement, Sempert told investigators he witnessed the crash, which he estimated was approximately three miles away. "Without any warning there was a loud, sharp noise which seemed directly overhead and sounded as though a paper bag had been popped," he said at the time. He said neither he nor the boys saw anything but three to five seconds later he saw what he believed was a B-36 (it turned out to be the B29) coming through the clouds directly to the south. Sempert said the aircraft lost altitude and dropped its nose as if it was going to land. He also reported seeing two parachutes that had opened but not mushroomed. He then told the boys to "shut up and listen" for an explosion or noise. "A few minutes later, a black smoke appeared just a wee bit to the left of where we last saw the plane before it went out of sight," Sempert, who as of last year was 94 years old and living in Lake Grove, told investigators. "This smoke rose very high and lasted approximately three minutes before it grew faint." Sempert, who himself had served in what was then known as the U.S. Naval Air Corps as an aerial gunner, said he looked at his watch and saw it was 3:59 p.m.
Addington said it took her a long time to research the tragic accident, trying to figure out the directions of the planes as well as the location where they crashed. On a recent February afternoon, Addington found the general area where the B29 Superfortress was believed to have crashed near the BPA power lines. Although it was the third worst aircraft accident in the numbers of lives lost, according to the Bureau of Aircraft Accidents Archives, no memorial has ever been erected at the site. "Looking back I am not certain why," said Addington. "Maybe this could be a question of any readers who might have further knowledge."